The following biographies are for the 2004-2006 AIB Executive Board. The board served from August 1, 2004-July 31, 2006. Duties: The AIB President presides over all meetings of the AIB Executive Board, appoints and instructs all committees, is responsible for the administrative direction of the Academy, and supervises the functions of other officers and the Executive Secretary. 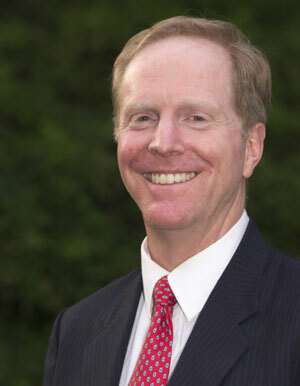 Alan M. Rugman is L. Leslie Waters Chair of International Business at the Kelley School of Business, Indiana University, where he is also Director of the IU CIBER (Center for International Business Education and Research). Previously he was a professor at Templeton College, University of Oxford; University of Toronto; Dalhousie University; and the University of Winnipeg. He has also held visiting positions at other leading North American and European schools. 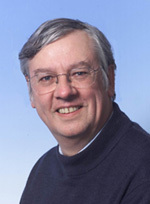 Since joining AIB in 1974 Alan has presented 38 papers at the AIB annual meetings and has also served regularly as panelist, chair, discussant, reviewer and session organizer. Among other activities, he served as Vice President (Program Chair for the 1990 Toronto meetings) and Chair of the Farmer Dissertation Award Committee. He was elected a Fellow of AIB in 1991. He served on the Editorial Board of JIBS from 1980-88 and from 1997 to 2002. Alan also serves on the Editorial Boards of Strategic Management Journal, Academy of Management Executive, Management International Review, and several other journals. Over his career, Alan has published 41 books and more than 100 articles in refereed journals including JIBS, SMJ, CMR, and AER. His latest books include: International Business, 3rd Edition (2003, Pearson/Prentice Hall); the Oxford Handbook of International Business (2001, OUP) and The End of Globalization (2000, Random House). His most cited book is Inside the Multinationals: The Economics of Internal Markets (1981, Columbia University Press). Over the 1986-1993 period Alan advised the Canadian Government of Prime Minister Brian Mulroney on free trade, international competitiveness and foreign investment policy. Born in England in 1945, Alan Rugman became a Canadian citizen in 1973 and a U.S. permanent resident in 2002. He earned his B.A. in economics from Leeds University in 1966, M.Sc. in economic development from London University's School of Oriental and African Studies (SOAS) in 1967 and his Ph.D. in economics from Simon Fraser University in 1974. He was elected to an M.A. (Oxon) in 1998. He was elected a Fellow of the Royal Society of Arts in 1998. Duties: The two Vice Presidents for Meetings serve as Program Chair for the Annual Meeting during one year of the two-year term. During the alternate year, he or she performs the duties of the President, in case of his or her absence. 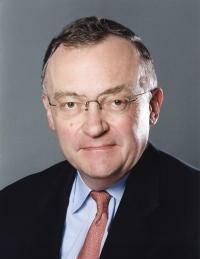 Yves Doz is the Timken Chaired Professor of Global Technology and Innovation at INSEAD. He was Associate Dean for Research and Development for five years (1990-1995). 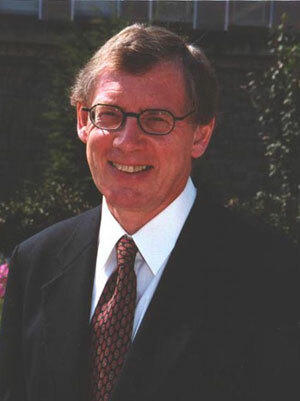 From 1990-1994 he held the John H. Loudon Chair in International Management. Professor Doz was Director of the Management of Technology and Innovation programme at INSEAD, a multi-disciplinary effort involving about 20 faculty members and researchers which ran from 1987 to 1994. He spent the 1995/1996 academic year at Stanford University, California, as a Visiting Professor. Yves Doz received his Doctoral degree from Harvard University and is a graduate of the Ecole des Hautes Etudes Commerciales (Jouy-en-Josas, France). From 1976-79 he was Assistant Professor at the Harvard Business School. His research on the strategy of multinational companies, examining specifically high-technology industries, led to numerous publications, including three books: Government Control and Multinational Management (1979), Strategic Management in Multinational Companies (1986) and (with C.K. Prahalad) The Multinational Mission: Balancing Local Demands and Global Vision (1987). His book on strategic alliances (with Gary Hamel) Alliance Advantage has been published in July 1998. One more book, co-authored with Jose Santos and Peter Williamson, two INSEAD colleagues, titled From Global to Metanational: How Companies Win in the Knowledge Economy (Harvard Business School Press 2001) shows how companies can mobilize dispersed knowledge to learn from the world. His research on the power systems and telecommunications equipment industries won the A. T. Kearney Academy of Management Award. Professor Doz currently carries out research on strategic partnerships and technological cooperation between companies, on global competition in the knowledge economy, and on the competitive revitalization of international companies. His business experience includes work on multinational aircraft programmes, he has also consulted for many major multinational corporations and taught in their internal development programmes. His recent assignments have included assisting the restructuring of the top management of a leading European diversified multinational, advising multinationals on the development of European strategies for various businesses, and designing and implementing competitive revitalization programmes. Director of the Center for International Business Education and Research (CIBER) at Florida International University, and Professor of Management and International Business, Dr. Von Glinow is Department Editor for JIBS, in IHRM and Industrial Relations. 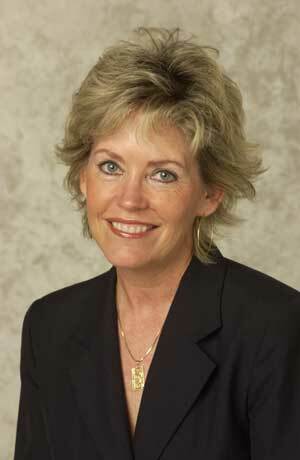 She has authored over 80 journal articles and 11 books. Her most recent include Organizational Learning Capability which won a Gold Book Award from the Ministry of Economic Affairs in Taiwan, and a popular textbook Organizational Behavior. Her research currently involves "polycontextuality"‹how multiple and embedded contexts are exacerbated in the international setting, supported by an NSF grant on globally-distributed software development teams. She sits on 11 editorial review boards and numerous international panels. Dr. Von Glinow was the 1994-95 President of the Academy of Management, and is a fellow of that association, as well as the Pan Pacific Business Association. She is on the Board of Friends of WLRN (NPR), the Fielding Graduate Institute, Friends of Bay Oaks, International Academy of Chinese Management Research (IACMR) and Animal Alliance in Los Angeles. She works extensively with animal welfare organizations, having received the "Humanitarian Award of the Year" from Miami's Adopt-a-Pet. Duties: The Vice President for Administration is responsible for overseeing the finances, accounting, membership, and chapter relations and supervising the work of the Executive Secretary, including reviewing financial statements and approving major expenditures. Keith D. Brouthers recently joined the team at Temple University¹s Fox School of Business (Philadelphia, PA). Prior to that he spent his academic career in Europe working first at Vrije Universiteit (Amsterdam, The Netherlands) then moving to the University of East London (England). Keith has been an active member in AIB both internationally as well as in the UK-regional chapter. Before becoming an academic, Keith spent 12 years working in the business world, first as a CPA (certified public accountant) and CMA (certified management accountant), then as Chief Financial Officer in several international companies. Keith¹s research has been published in a variety of journals including Journal of International Business Studies, Strategic Management Journal, Management International Review, Journal of Management, International Business Review, Journal of Management Studies, Thunderbird International Business Review, Long Range Planning and Entrepreneurship Theory and Practice. Peter J. Buckley is (BA (Econ), MA, Ph.D.) is a Professor of International Business and Director of the Centre for International Business, University of Leeds, (CIBUL). He is Visiting Professor, Department of Economics, Univeristy of Reading, The Management School, Lancaster University and in the Faculty of Management and Organization, University of Groningen, The Netherlands. After degrees from the Universities of York (BA Social Sciences - Economics) and East Anglia (MA - Development Economics), he did his PhD at the University of Lancaster. Following a period of research at the University of Reading, he worked at the University of Bradford Management Centre until his departure for Leeds in July 1995. He has held visiting Professorships at University of Paris I: PanthÈon-Sorbonne and the University of Rennes I, France, Hong Kong City University, and in Oslo and the University of Granada. He has published 19 books in English in both UK and USA and one in German. These include The Future of the Multinational Enterprise (1976) (paperback edition, 1991; Japanese edition, 1993; Korean edition, 1995, Chinese edition to be published 2001) and the Theory of the Multinational Enterprise (1987) based on the 1986 Uppsala Lectures in Business. His most recent book is International Firms, Cooperation and Competition in the World Economy (Macmillan, 2000). He also is editor of fourteen books, including Cooperative Forms of Transnational Company Activity in the United Nations Library series. In addition, he has written over 100 refereed articles on foreign direct investment, the multinational enterprise, international management and the economics of tourism in leading British, US, Japanese and European journals, including nine articles in Journal of International Business Studies. The Social Science Citation Index lists over 1100 citations of Peter Buckley's work. He is editor of the Edward Elgar book series "New Horizons in International Business" (35 titles to date), Associate Editor of International Business Review and on the editorial board of Journal of International Business Studies, and International Journal of the Economics of Business. Peter has carried out consultancy assignments for central government, local government, international bodies (including UNCTAD Division on Transnationals) and leading companies. His current research interests centre on the theory of the multinational firm, knowledge management in multinational firms, the international transfer of technology, the impact of foreign direct investment, international joint ventures and alliances, and the economics of tourism. He has recently completed a three year project on UK International Joint Ventures funded by the ESRC. His current projects include a study of "Managing Cross-border Knowledge" funded by the Carnegie-Bosch Institute. He was Vice President of the Academy of International Business (AIB) (1991-92) and the Chair of its UK Region from 1985 to 1991. In 1985 he was elected a Fellow of the Academy of International Business. Fellowships are limited to 50 worldwide and are awarded for "outstanding achievements in international business". In 1995 he became a Fellow of the British Academy of Management (BAM) in the founding list of Fellows. He was elected a Fellow of the Royal Society of Arts (RSA) in 1995. In December 1998 he was awarded an Honorary Professorship at the University of International Economics and Business, Beijing, China. G. Tomas M. Hult is Director of the Center for International Business Education and Research (MSU-CIBER) and Professor of Marketing and Supply Chain Management in the Eli Broad Graduate School of Management at Michigan State University. While maintaining his Swedish citizenship, Dr. Hult has been a resident of the U.S. since 1987 - the year he received a Gymnasieingenjor Degree in Mechanical Engineering from Fyrisskolan, Uppsala, Sweden. He has been Vice President of International Activities of the Academic Council of the American Marketing Association (1999-2000), and a Board Member of the AMA Global Special Interest Group (1997-2000). He is Department/Associate Editor of the Journal of International Business Studies, Journal of Operations Management, and Cycle Time Research. He serves on the editorial review boards of Journal of Marketing, Journal of the Academy of Marketing Science, and Industrial Marketing Management, among others, and has served as guest editor of 9 special issues on various international business and supply chain management topics. Tomas served as Program Chair of the AMA Summer Educators' Conference in Chicago in 1997, the AMA International Marketing Strategy Conference in Vienna in 1998, and as track chair of international business/marketing tracks of five conferences. 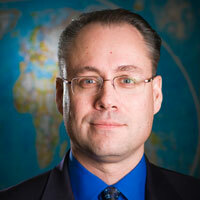 Dr. Hult has published more than 60 articles on international business and supply chain management topics (in journals such as Academy of Management Journal, Strategic Management Journal, Journal of Marketing, Decision Sciences, Journal of Operations Management, Journal of Management, Journal of Retailing, and Journal of the Academy of Marketing Science).